Claire Whelehan joined the DCU Educational Trust in September 2005. Her current role as Director of Philanthropy is to develop and maintain a portfolio of individual, corporate and foundation relationships. 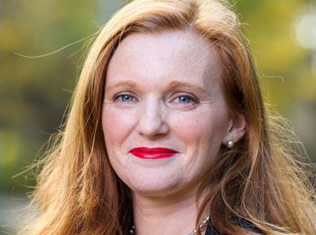 Claire works closely with the Chief Executive to further the mission and objectives of the university through external funding and offers guidance in establishing and implementing a wide range of advancement policies and procedures. Claire has over 16 years of experience in development and alumni relations, within the education sector. Claire came to DCU from The Roxbury Latin School in the United States, where she was Director of Annual Giving and Alumni Relations. Prior to that Claire worked as a Development Assistant at the Harvard College Fund. Claire originally hails from Dundalk and holds a BA in Hotel and Tourism Management from the University of Ulster.